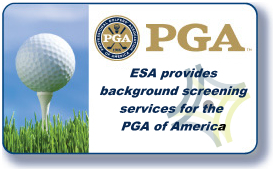 -	News Alert: July 3, 2014 - Employment Screening Associates (ESA), a premier, fast-growing international pre-employment screening services company based in Cincinnati, Ohio, has acquired Validex Screening Services. 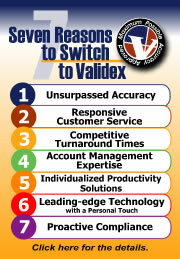 ESA welcomes all Validex clients, and is excited to share all the new features and benefits now accessible. Our custom Best Value Analysis provides the tools necessary for our experts to assess your needs resulting in developing or improving your background screening policy.